Happy 2019! 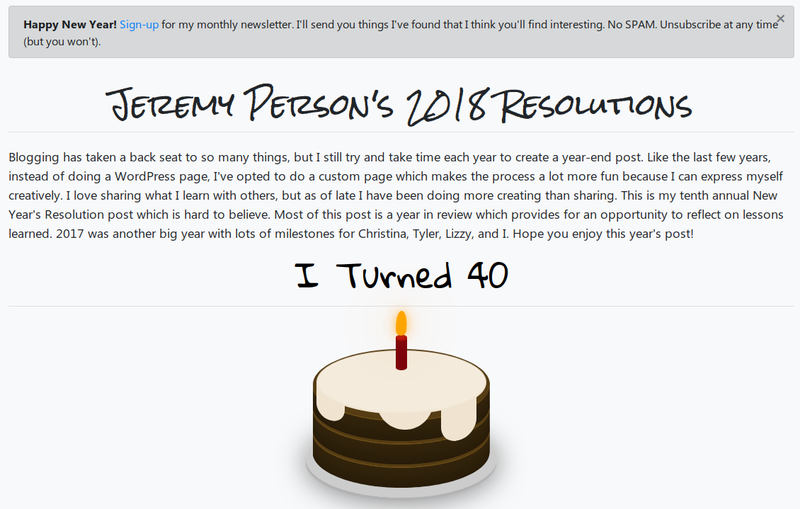 I created another resolutions site and 2018 year in review you can find here. We are halfway through 2018 and I realized I neglected to share my resolutions with you here on my blog. These are some of my favorite “personal time” creative projects I work on each year. I hope you enjoy it as much as I did creating it! On this episode of ‘Masters of Scale,’ Linda Rottenberg talks about how the best ideas originate in the shower, but too often they never escape the bathroom.